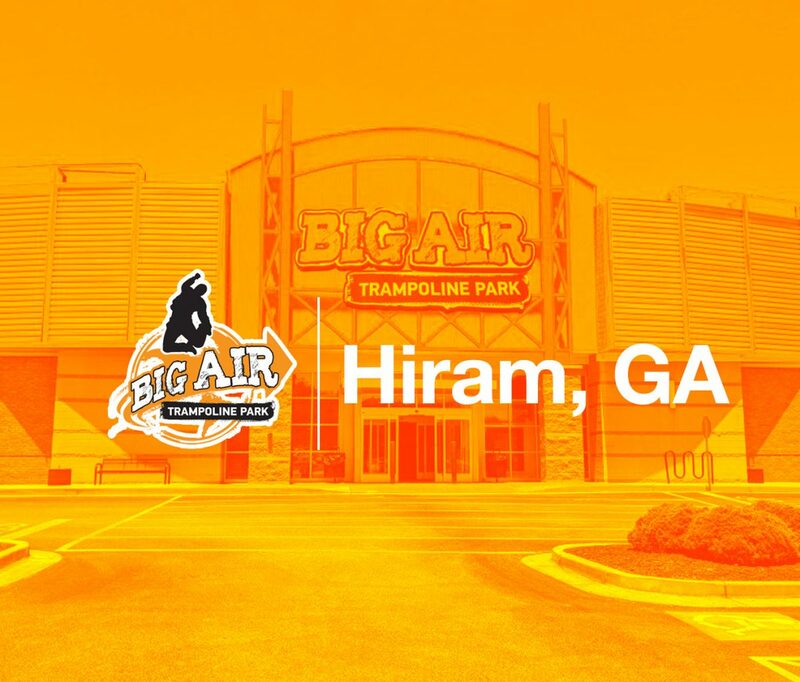 Big Air Trampoline Park® is excited to announce a new franchise location to be located in Hiram, Georgia opening in early 2019. The 40,000 square foot indoor park, located just 20 minutes west of Atlanta, will be Big Air’s first Georgia location. Big Air’s award-winning birthday party program will be featured at Big Air Hiram. With multiple event spaces, the park will also host team parties, corporate team-building events and more. Other in-park experiences will include Cosmic Nights® on Friday and Saturday nights, and Toddler Time® on select weekday mornings. Parents will be able to relax in Big Air’s Parents’ Lounge, with access to comfortable seating, free WiFi and a comprehensive food & drink menu. Southern California-based Big Air Trampoline Park® is making leaps and bounds in the family entertainment industry. Founded in 2012, Big Air is led by an executive team with over 30 years of experience in the entertainment industry. With trademarked attractions like Battlebeam®, events like Toddler Time®, and an award-winning birthday party program, Big Air offers a brand experience that is second-to-none. The company is now expanding across the United States through franchising, with a program that offers exceptional support in location analysis, construction, park operations, marketing strategy, and more. To learn more about franchising opportunities, visit bigairfranchising.com.